Beans, beans the magical… protein source?! So what’s the secret potion behind these magical beans? Protein of course! Protein is a hot topic in today’s society and you see promotions of different protein powders and nutrition bars everywhere. Personally, I know of many people who have fallen into this trap of trying different protein powders to add to their “protein shake” in the morning to get that quick fix of protein. However, they are spending so much money on these quick-fix protein sources and need to find another way to incorporate protein into their diet. Beyond these protein powders and bars, most people go for the typical meat, fish and poultry when it comes to a reliable protein source, but don’t forget to give plant-based protein credit! Beans are packed with a bunch of different nutrients that are beneficial to your health. Beyond protein they are a great source of fiber, folate, magnesium and potassium. In regards to fiber, beans are packed with soluble fiber. Soluble fiber attracts water and slows down digestion and emptying of your stomach. This delay in emptying of your stomach makes you feel fuller for a longer period of time, which could be a great tactic for controlling your weight. About 5-10 grams of soluble fiber can decrease your LDL cholesterol by 5%, with beans containing about 0.6 to 2.4 grams of soluble fiber per half a cup. This makes eating beans a great way to help with decreasing cardiovascular disease and inflammation. Now let’s talk about beans and its protein content. One serving of beans is ½ cup of cooked beans, which provides roughly 7-8 grams of protein! Protein causes satiety, or fullness, so with the combination of soluble fiber and protein beans can be a great way to keep you feeling fuller for a longer period of time. Like stated before, this can help keep your diet and weight on track. Rinse: to ensure proper cleanliness of your beans it is important to wash them off before consuming them. Place beans in a large pot and add 10 cups of water for every 2 cups of beans. Bring to a boil and let boil 2-3 minutes. Dried beans, discard soak water and rinse with cold water. How easy is that?! Once you figure out which method works best for you, you can incorporate beans in your diet. Dried beans make a mass amount of product and can last you for a long time. If I over-committed on my bean abilities and made too much I freeze the remaining beans and just quickly heat them up! A 1-lb. bag of dried beans usually costs around $1.49 and can make around 13 servings of beans! What a great, and cheap, way to incorporate more protein into your diet! 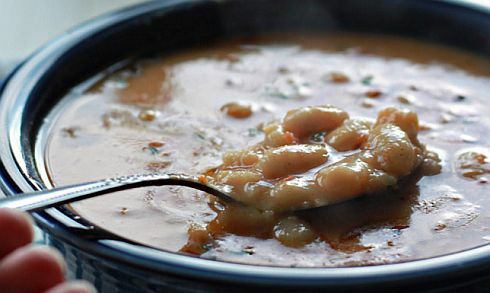 Check out the US DryBean Council website for many recipes to try using beans! Messina V. Nutritional and health benefits of dried beans. Am J Clin Nutr 2014; 100: 437S-42S. Many people are consuming more sugar each day in foods and drinks then they realize. Added sugars contribute zero daily nutrient needs to our daily diet. A few things that most of us consume that have sugars include: regular soft drinks, sugars, candy, cookies, cakes, pies, fruit drinks, dairy desserts and sweetened milk. Added sugars are sugars and syrups that are added to foods or beverages when they’re processed or prepared. These added calories can lead to extra pounds and have been cited to contribute to obesity, high blood pressure and high cholesterol. But the added sugar Americans consume as part of their daily diet can more than double the risk of death from heart disease, a new study from the U.S. Centers for Disease Control and Prevention has found. How much sugar is just right for you? The American Heart Association (AHA) recommends limiting the amount of added sugars you consume to no more than half of your daily discretionary calorie allowance. For most American women, that’s no more than 100 calories per day, or about 6 teaspoons of sugar. For men, it’s 150 calories per day, or about 9 teaspoons. The AHA recommendations focus on all added sugars, without singling out any particular types such as high-fructose corn syrup. For more detailed information and guidance on sugar intake limits, see the scientific statement in the August 2009 issue of Circulation, Journal of the American Heart Association. 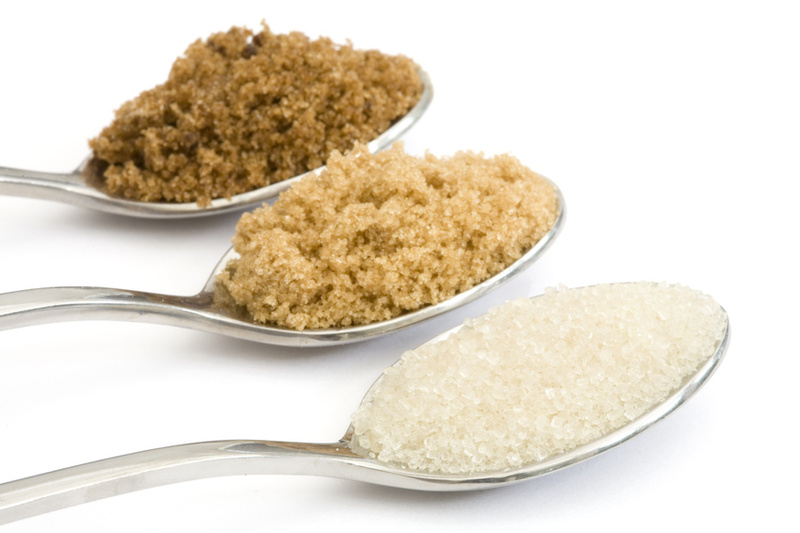 According to the study, most U.S. adults consume about 22 teaspoons of added sugars a day. Reviewer: Liz Smith, SNAP- Ed Program Specialist, Ohio State University Extension. Cinnamon … Can Do What? Many of us today are trying to find health tips for lowering cholesterol, lowering blood sugars, reducing arthritis pain and yes boosting our memory. Many households in North America or Europe have cinnamon in their their cupboards. 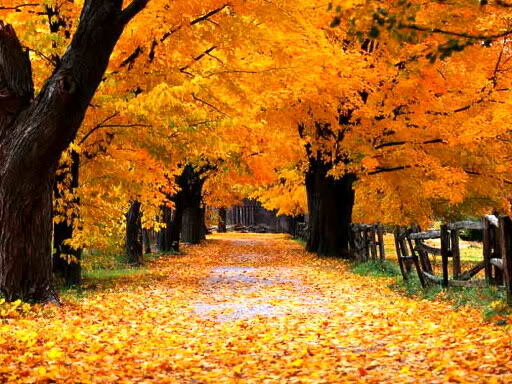 Cinnamon is the brown bark from the cinnamon tree, which when dried, rolls into a tubular form known as a quill. 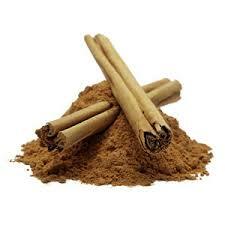 Cinnamon is available in either its whole quill form (cinnamon sticks) or as ground powder. Cinnamon is one of the oldest spices and most popular spices, and has been used for a millennia both for its flavoring and medicinal qualities. The two major types of cinnamon used are Cassia and Ceylon cinnamon. Ceylon cinnamon is known as “true cinnamon”. Ceylon Cinnamon is NOT the kind of cinnamon that is normally sold in the spice section at your local supermarket. Cassia is the one seen most often. Cassia cinnamon contains coumarin, the parent compound of warfarin, a medication used to keep blood from clotting. Due to concerns about the possible effects of coumarin, in 2006, the German Federal Institute for Risk Assessment warned against consuming large amounts of cassia cinnamon. Let’s Get to Using the Cinnamon! Studies have shown that just ½ teaspoon Ceylon cinnamon added to cereal, oatmeal, toast, tomato sauces or on an apple can have many health benefits. These are just a few of the many ways you can add cinnamon to your meals. You might have your own special recipes! Lowers Cholesterol: Studies have shown cinnamon may significantly lower LDL “bad” cholesterol, triglycerides and total cholesterol. 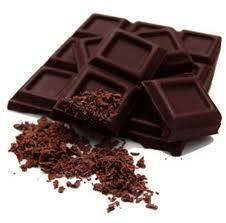 Reduces blood sugar levels thus improving those with Type 2 Diabetes. Fights Cancer: A study released by researchers at the U.S. Department of Agriculture in Maryland showed that cinnamon reduced the proliferation of leukemia and lymphoma cancer cells. Besides, the combination of calcium and fiber, Cinnamon can help to remove bile, which prevents damage to colon cells, thus prevents colon cancer. Brain Tonic: Cinnamon boosts the activity of the brain and hence acts as a good brain tonic. It helps in removing nervous tension and memory loss. Also, studies have shown that smelling cinnamon may boost cognitive function, memory; performance of certain tasks and increases one’s alertness and concentration. Share with us how you enjoy cinnamon! Enjoy the benefits of cinnamon today! http://care.diabetesjournals.org/content/26/12/3215Alam Khan, MS, PHD, Mahpara Safdar, MS, Mohammad Muzaffar Ali Khan, MS, PHD, Khan Nawaz Khattak, MS and Richard A. Anderson, PHD. 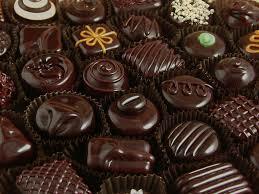 “Cinnamon Improves Glucose and Lipids of People With Type 2 Diabetes”. Diabetes Care. December 2003 vol. 26 no. 12 3215-3218. Accessed October 14th 2013. Source: George RC, Lew J, Graves DJ. Interaction of Cinnamaldehyde and Epicatechin with Tau: Implications of Beneficial Effects in Modulating Alzheimer’s disease Pathogenesis. The Journal of Alzheimer’s disease. 2013. 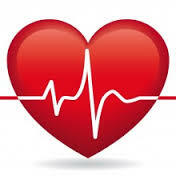 Heart disease is an epidemic as the leading cause of death for both men and women in the United States. Statistics from the Centers for Disease Control (CDC) reports around 715,000 Americans suffer a heart attack each year. While chest pain is recognized as a major heart attack symptom, there are other major symptoms that need to be recognized. A heart attack usually occurs when a blood clot blocks the flow of blood through an artery that feeds blood to the heart. This may cause permanent damage to the heart muscle if not treated quickly. The most common cause of heart attacks is atherosclerosis or the buildup of plaque in the arteries. Less commonly, heart attacks can also occur as a result of very low blood pressure, drug use, a tear in the heart artery and small blood clots that travel to the heart from other parts of the body. Understanding the typical and not so obvious symptoms when a heart attack is occurring can be a matter of life and death. Always call 911 when you begin to have any symptoms of a heart attack. The key is to listen to your body and seek immediate medical treatment. Written by: Beth Stefura, M Ed, RD, LD. Extension Educator, Family & Consumer Sciences, Ohio State University Extension, Mahoning County, Crossroads EERA, stefura.2@osu. Time to stand up! Standing up is good for your health. Research is showing that even if you are physically active, sitting a good portion of the day can be a risk factor for poor health and possibly even premature death. Most of us spend a lot of time sitting at computers and driving. Time to stand! Dr. Joan Vernikos, author of Sitting Kills, Moving Heals and former director of NASA’s Life Sciences Division, provides an explanation of why sitting affects our health in ill ways. Dr. Vernikos states that we were not designed to sit so much. She feels we were actually designed to squat and kneel. Hours of uninterrupted sitting causes your body to be more affected by the force of gravity. We need to exert our body to overcome the force of gravity and the effects it can have on our body. Thus, we need to stand up often, especially when we are sitting for awhile. By standing up often or interrupting our sitting we change our posture. It’s our change in posture that helps up overcome the force of gravity that causes us to age. Dr. Vernikos found that simply standing up at least once every hour caused good cardiovascular and metabolic changes in your body. Simply, standing up from a seated position increases an enzyme that transports fat to muscles in your body to be used as fuel. Those other movements you do around the office or at home, like reaching to get something, bending down to pick something up, are not really exercise activities but do interrupt your sitting which are effective against aging. She suggests we try to do more of them in a day. One way at work, might be to put your coffee out of your reach so you have to get up to drink it. Are you sitting up straight reading this? Dr. Vernikos recommends a straight back chair for your office or home. She is not really in favor of standing desks, as it’s the movement of up and down that is more important. Good posture helps your body function properly. If you think that you can stand up and sit down repeatedly for a few minutes and that will help, she found it didn’t really work. We have to spread out the times we stand up throughout the day, to get the effect of delaying or preventing the damage associated with aging and our loss of flexibility. 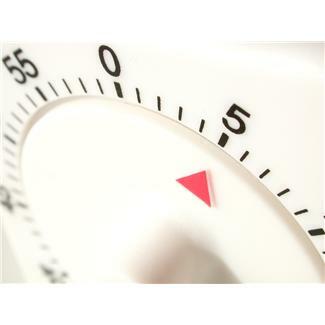 So, set the timer on your cell phone or your computer and stand up at least once or more an hour. Just standing up can help counteract the process of aging on your body. You may already have damage but good news! You can reverse the damage and your body can recover. The older we are the longer it may take, but it can be done. So, take a standing break and stand up straight. Reviewed by: Elizabeth Smith, M.S., RDN., L.D. NE Regional Program Specialist, SNAP-Ed, Ohio State University Extension.